The MAGPIS web site collects images and catalogs of the Milky Way from the radio to the infrared. 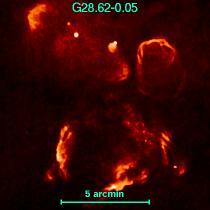 Currently our prime database is our new high-dynamic range, high-sensitivity VLA survey of the inner Galaxy. 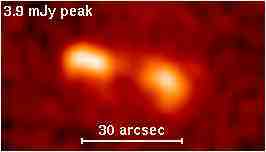 The VLA FIRST Survey is the radio equivalent of the Palomar Sky Survey, mapping 9,000 square degrees of the sky to a flux density limit of 1 mJy at 20 cm wavelength with 5" resolution. This website hosts the FIRST Image Cutout Server. Thanks to the Institute for Geophysics and Planetary Physics at the Lawrence Livermore National Laboratory for hosting this website.